Filing an extension with the IRS automatically gives you an additional six months to file your tax return without penalty. What it doesn't give you is additional time to pay any tax you might owe. You still have to pay the IRS by the April tax filing date or you'll be hit with penalties and interest. You can file an extension even if you can't make a full payment, however. Pay as much as you can to minimize the amount of interest you'll ultimately owe. The deadline to file your 2018 tax return extension is April 15, 2019. You'd have until Oct. 15, 2019 to file if you ask for an extension, but must file Form 4868 instead by the April deadline. You have several options for doing so. Cost: 55 cents for first class postage in 2019, or you can e-file your extension request online for free. IRS Free File offers just about every tax form you could possibly need, including Form 4868. It also offers line-by-line instructions for completing the form if you're not particularly tax-savvy. Simply download, print, and complete the form. Report your estimated tax liability, any payments you made during the tax year, and an estimate of your balance due. Then mail Form 4868 to the appropriate IRS mailing address before the post office closes on April 15. 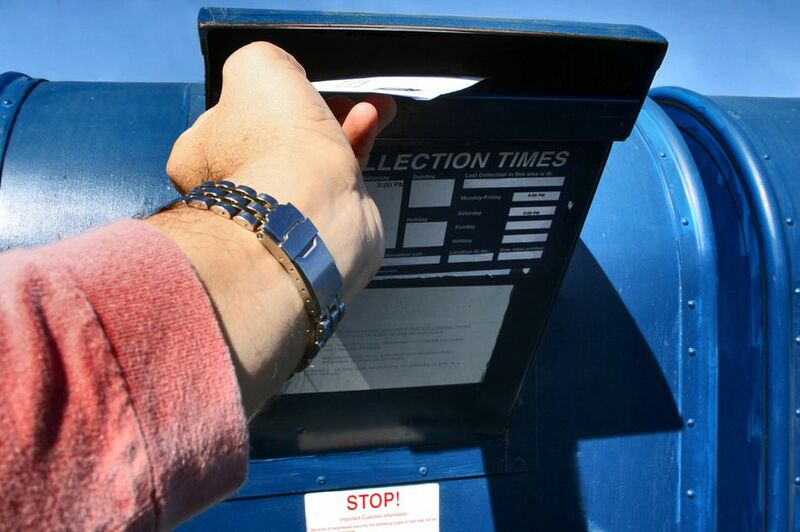 The envelope must be postmarked on or before the April 15 deadline for your extension to be considered filed on time, and you might want to consider paying a little more for certified mail, return receipt requested, so you have proof that you sent it by the deadline and that the IRS received it. The IRS will automatically file an extension for you if you make an extension payment using the IRS Direct Pay system. The IRS says, "Pay all or part of your estimated income tax due and indicate that the payment is for an extension using IRS Direct Pay. You'll receive a confirmation number for your records." TurboTax offers a slick and easy to use extension program. Register on the site, enter your information, and TurboTax will guide you through the steps. The site allows you to pay any tax you owe by a direct withdrawal from your bank account. The instructions and steps are clear and easy to understand. This option is available as of March 2019. Create a username, enter your personal information, and choose between filing an extension or estimating your taxes first. If you want to estimate your taxes, work through the Federal Q&A. After you prepare your return—or if you want to skip this step—just click on the Filing tab and look in the navigation options just below the tabs. Click on "File Extension." TaxAct gives you the option of printing Form 4868 so you can mail it in, or you can e-file the form. TaxACT will let you set up a direct withdrawal from your checking or savings account to pay your estimated tax liability. Cost: $29.95 for personal tax extensions, $34.95 for business tax extensions for corporations, partnerships, estates, trusts, and LLCs. FileLater provides an estimate of federal tax based on your wages and other income. It assumes that you'll take the standard deduction. You can then schedule a direct withdrawal from a bank account to remit your tax payment and file your extension request. FileLater allows you to sign in using Facebook or Twitter in lieu of creating an account. Cost: Free if you take the standard deduction, $49.99 if you itemize or have a more complicated tax situation. Discounts are available early in the tax year if you don't wait until the last minute. The H&R Block Free software requires that you estimate your federal tax liability first and the total of any tax payments you've made for the year. H&R Block provides a link to their Tax Estimator Calculator if you need help with this. After creating your account in eSmart Tax and entering your personal information, you can file your extension. You can also do a basic calculation of your tax liability and set up a direct payment from a bank account to remit any tax owed. Free File Fillable Forms is a free tax filing service sponsored by the IRS and hosted by Intuit, the makers of TurboTax. The biggest issue with this service is that it's not particularly user-friendly, but it does have a user guide. State extensions are not supported. Cost: Free if you claim the "Free Trial." FormSwift lets you complete Form 4868 online, then download it to your computer so you can print it out. You can also email it to yourself...or anyone else, for that matter. You do have to create a FormSwift account first, however. Just remember to cancel it after the trial period if you decide not to use the service to complete your tax return, too. The form comes with all the same instructions that the IRS offers. What happens if your estimation of what you owe the IRS is off? After all, you haven't completed your tax return yet, so it's a best-guess situation. Not to worry. The IRS will send you a refund when you file your return if you remit too much, just as if you had had too much withheld from your paychecks.